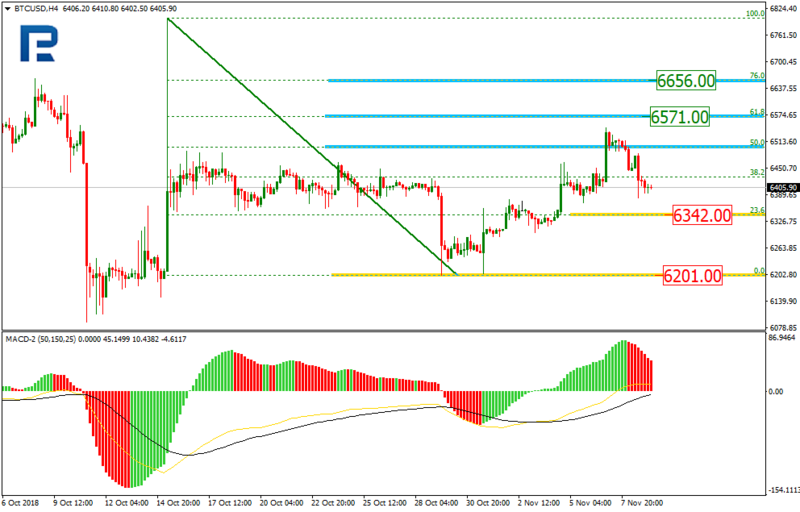 As we can see in the H4 chart, the short-term uptrend has reached the retracement of 50.0%. The next targets may be the retracements of 61.8% and 76.0% at 6571.00 and 6656.00 respectively. The current movement may be considered as a pullback towards the support level at 6342.00. 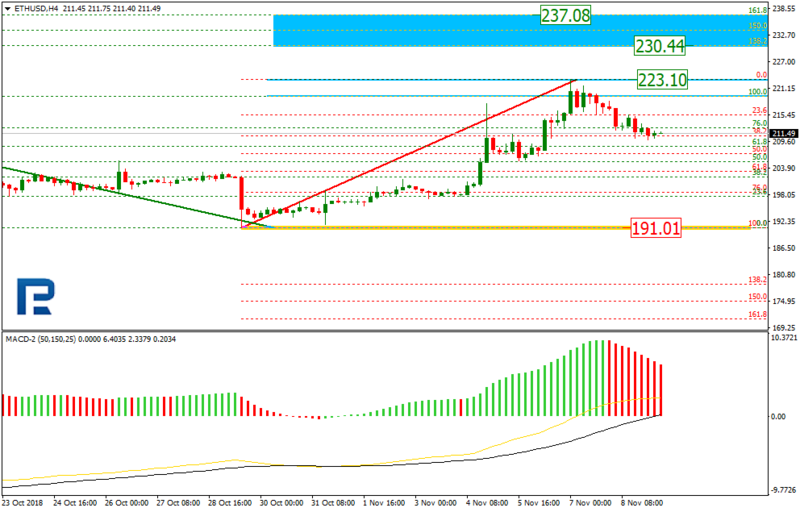 As we can see in the H1 chart, the divergence made the pair reverse and start a new correctional downtrend, which has already reached the retracement of 38.2%. The next downside target may be the retracements of 50.0% and 61.8% at 6371.70 and 6331.40 respectively. As we can see in the H4 chart, after testing the key high, ETHUSD has started a new correctional downtrend. The next upside targets are still inside the post-correctional extension area between the retracements of 138.2% and 161.8% at 230.44 and 237.08 respectively. The support level is at 191.01. 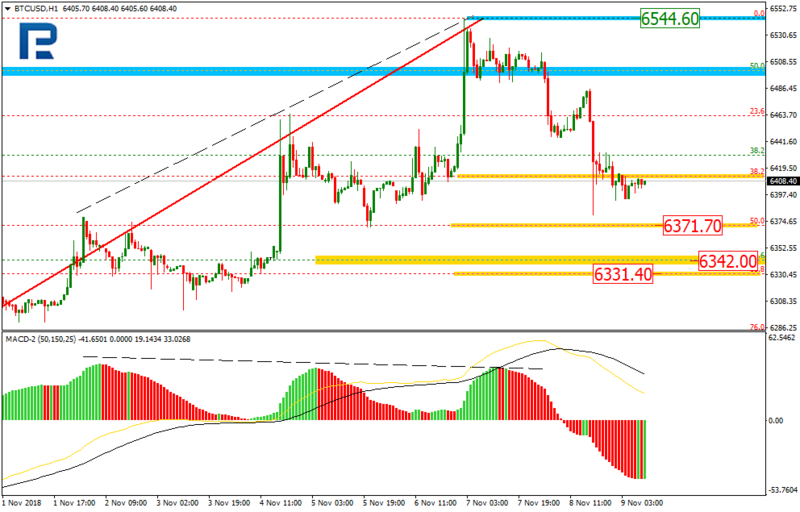 In the H1 chart, the divergence made the pair start a new downtrend, which has already reached the retracement of 38.2%. In the future, this decline may continue towards the retracements of 50.0% and 61.8% at 207.08 and 203.24 respectively.